Open Saturday 10 - 7 p.m. LL Bean Outlet Open Saturday 9 - 9 p.m. Closed Easter Sunday. Happy Easter! Never search for a parking space on the street in Freeport Again! Park in our 500 free covered parking spaces and take the elevators up to the courtyard entrance to the stores. Garage entrances are on Mill Street and Depot Street. 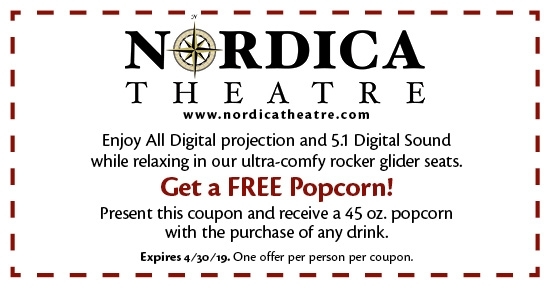 With six screens playing the finest movies Hollywood has to offer, Nordica Theatre is the perfect end to a great day at Freeport Village Station. Get the latest movies and showtimes at Nordica Theatre. Free Care Kit & Visor Clip with $15 purchase! Enjoy 70% Off Your Purchase! For exclusive web coupons and sale information, enter your email address below.